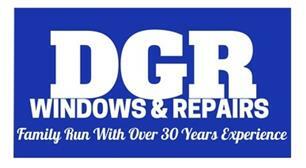 DGR Windows & Repairs - Fascia/Soffits/Guttering, Windows/Doors/Conservatories based in Northbourne, Dorset. We are a family run business, with over 30 years experience in the trade. We are a local business based Bournemouth - We cover Christchurch, Bournemouth, Poole, Parkstone,Sandbanks, Ferndown and all surrounding areas. DRG value all our customers, we have an honest and professional approach, with full explanation of the job before commencing. All work is completed to a very high standard with excellent value for money. Please take a look at our feedback from previous and repeat customers. We also offer discounts for OAP - please ask for further information on this. Weatherboard Cladding - Avalible in 9 different colours. Please look at our services page for a full list of what we do - please ask for further information. DGR welcome all enquiries - please call or text 07709621717.